The Fantasy of Lights Parade will sparkle with more grandeur this year. 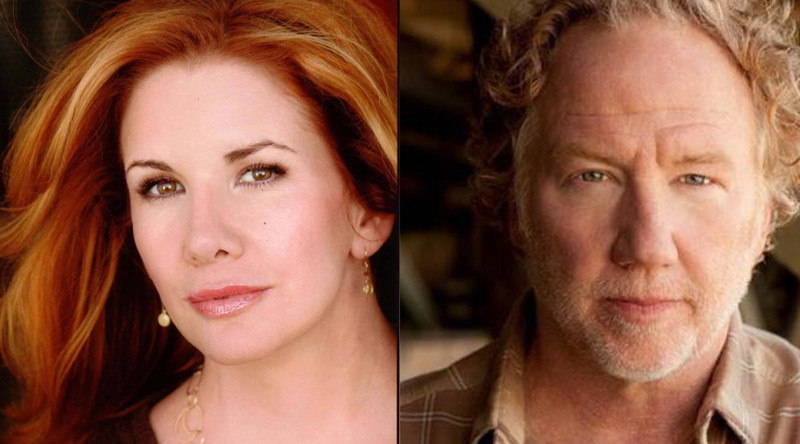 Howell residents Melissa Gilbert and Timothy Busfield are the Grand Marshals of the parade themed Christmas – It’s a Grand Event! The nighttime parade is the day after Thanksgiving (Nov. 28) in downtown Howell. Gilbert is currently filming the new show “Secrets & Lies.” Busfield is director/executive producer and also has a role in “Secrets and Lies.” She has also been on “Dancing with the Stars,” and played Laura Ingalls Wilder in the TV series “Little House on the Prairie,” perhaps one of her most well-known roles. Gilbert is also an author and has recently released “My Prairie Cookbook”. In addition, she is a national spokesperson for The Partnership at Drug Free.Org. Busfield received an Emmy for his role in the TV series “thirtysomething.” He also starred in “The West Wing” and many TV shows, movies and plays. Busfield is a Michigan native, and has an Honorary PHD from Michigan State University. The 31st annual Fantasy of Lights is hosted by the Howell Area Chamber of Commerce Foundation. Activities begin at 4 p.m., followed by the Fantasy 5K at 6 and the start of the parade at 7. Major sponsor of the Fantasy of Lights is Cobb-Hall Insurance. Supporting sponsors are Citizens Insurance and Blue Care Network of Michigan. Champion Automotive Group is the Fantasy 5K Platinum Sponsor.